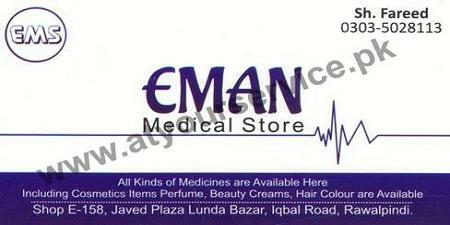 Eman Medical Store is located in Javed Plaza, Lunda Bazar, Iqbal Road, Rawalpindi. It sells all kind of medicines. It also sells cosmetics items, perfumes, beauty creams and hair colours.